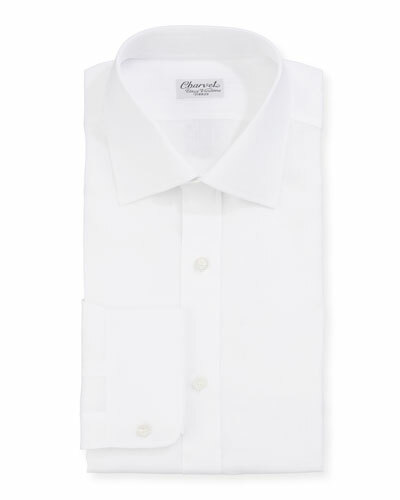 Founded as a shirt emporium in Paris in 1838, Charvet is now recognized for their luxury shirts that showcase exceptional tailoring. The label has since expanded beyond ready-to-wear shirts to design neckties, blouses, pajamas, and suits. The Charvet clothing collection of ties and shirts feature the key critical ingredients of exquisite details, lush fabrics, and customized fitting that has made the designer label famous for over the years. 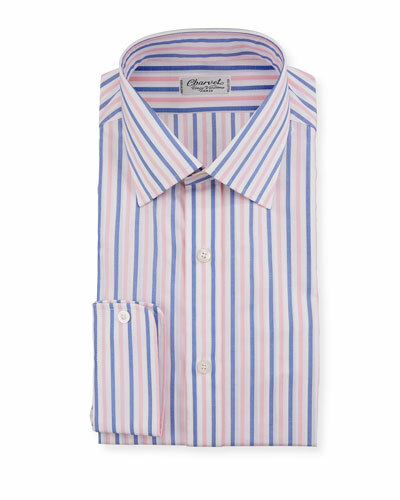 Bold and playful prints accentuated by clean, sharp lines is the signature mark of each piece of Charvet clothing. 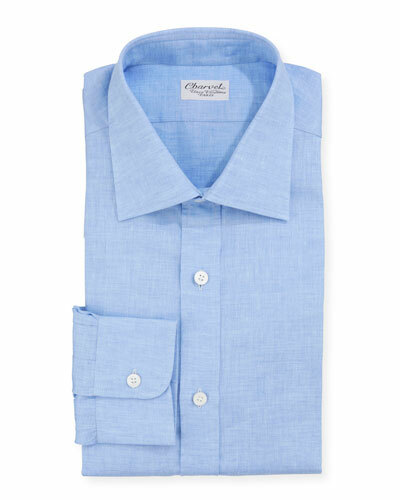 Neiman Marcus offers a great selection of Charvet apparel in various styles, fabrics, and hues. 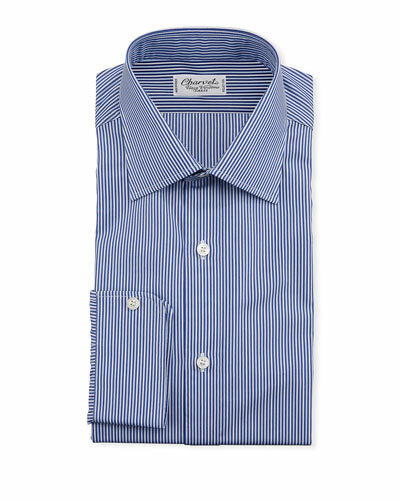 Ermenegildo Zegna T-shirt in tonal stripes. Crew neckline. Straight hem. Cotton/linen. Imported. Model's measurements: Height 6'1"/185cm, waist 32"/81cm, typically wears size M.
Ermenegildo Zegna polo shirt in solid knit. Spread collar; three-button placket. Classic fit. Straight hem. Linen. Made in Turkey. Model's measurements: Height 6'1"/185cm, waist 32"/81cm, typically wears size M.
Ralph Lauren sweater in cable-knit. Crew neckline. Straight hem. Pullover style. Cashmere. Made in Italy. Model's measurements: Height 6'1"/185cm, waist 32"/81cm, typically wears size M.
Ralph Lauren striped ruby shirt with golden crest patch. Spread collar; button placket. Long sleeves. Pullover style. Straight hem. Pima cotton. Made in Peru.